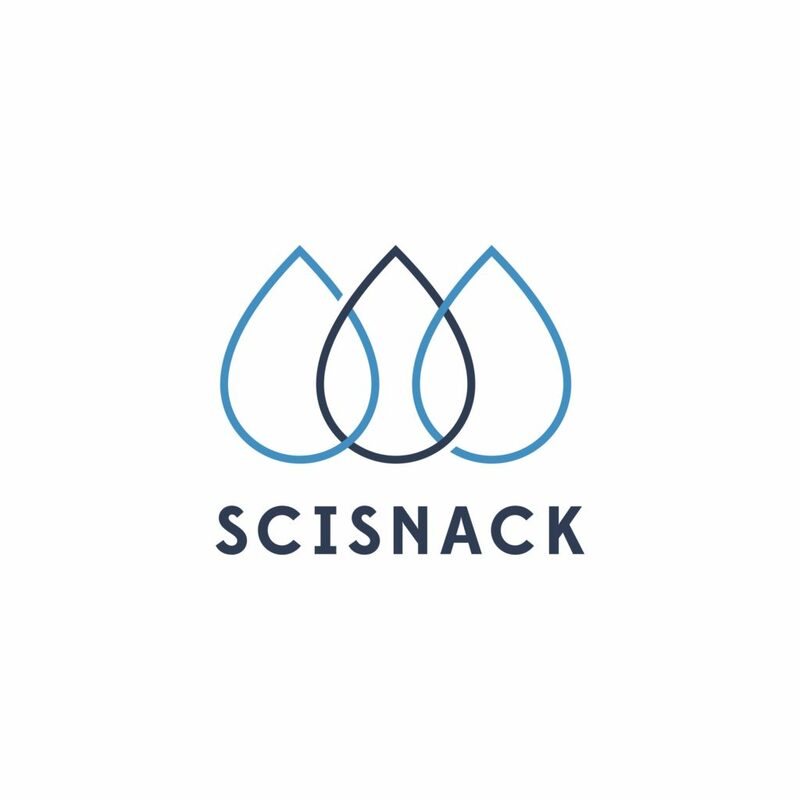 Scisnack | If temperatures aren’t rising, where does the heat go? Figure 1: The global distribution of warming at the time of 2oC above pre-industrial levels using the Norwegian Earth System Model (NorESM). Temperatures are shown relative to the mean for the period 1850-1900 (from Medhaug and Drange, in preparation). The globe is warming, glaciers are melting, sea level is rising and ice caps are starting to disappear. This is predominantly due to the increasing amount of greenhouse gases, like for example CO2 and methane, in the atmosphere through fossil fuel burning, deforestation etc., causing the global temperatures to rise because of the “greenhouse effect”. Joseph Fourier first discovered the “greenhouse effect” in 1824. He calculated the temperature of the earth based on its size and position relative to the sun. He showed that the earth should have been much colder than it was. He wondered why, and concluded that the atmosphere must have an insulating effect on the earth. This insulating effect is because certain gasses that exist in our atmosphere trap heat. The gases let the energy from the sun pass through the atmosphere but trap the energy emitted from the Earth’s surface. Calculations of the future climate predict that the global temperature will increase by between 1 and 6oC by 2100 relative to pre-industrial levels, depending on whether or not we manage to reduce our emissions of greenhouse gasses. This doesn’t sound like much, but to compare, it hasn‘t been that warm for the last 3,2 million years. The global average temperature during the last ice age was about 5oC colder than today. The rate at which the temperature changes is also expected to be faster than ever before; even 10 times faster than between the last ice age and now. Scientists call this temperature increase “global warming”. The word is a bit misleading. Global warming doesn’t mean that every place on the planet is warming. Rather, when averaging the surface temperature over the entire world, the temperature rises. If temperature decreases in one region, then another region will experience additional warming relative to the global mean. An example of this can be seen in Figure 1, where the global temperature is 2oC above pre-industrial level. Some regions, just south of Greenland and around Antarctica show patches of blue, indicating that the temperatures are actually around 1oC lower than pre-industrial levels, but Arctic temperatures are more than 8oC warmer. In the future, the temperatures over land are assumed to increase more than over the ocean, and the Arctic will experience a larger temperature increase than the tropics and the mid-latitudes. Why are then scientists still talking about global warming when it has stopped warming? In the past decade or so, the observed temperature records show that the global temperature has stopped rising and is leveling off even though we are continuing to release greenhouse gases into the atmosphere at an accelerating rate. This is not uncommon, not now nor in the future. Even with the “business-as-usual” scenario where we continue to release greenhouse gasses at an accelerating rate where the temperatures increase very rapidly, we expect to find periods of up to a decade or more with a negative temperature trend. This does not mean that the “greenhouse effect” has stopped working. External factors, such as changes in the amount of solar radiation hitting the earth or being reflected can affect the temperature. Natural variations in the climate system can cause heating in other places rather than the atmosphere. There are three different places this heat can go, 1) the excess heat is radiated back to space, 2) it is temporarily stored in the upper ocean, or 3) it is stored in the deep ocean, where it will remain for long periods of time. Observations from satellites show that the sun’s radiation level had it’s previous minimum around 2009 and has been increasing since. But this opposes the current leveling off of the temperatures that we are witnessing. In the climate models, the radiation to space follows the temperature on the surface: higher temperatures lead to increased radiated heat to space and vice versa. So the radiation back to space acts to dampen temperature variations, but they don’t counteract. The heat capacity of the ocean – the amount of heat that is needed to increase the temperature of a given amount of sea water – is much larger than that of air. So if the heat is stored in the ocean, the temperature increase that we measure will be less than if the heat stayed in the atmosphere. 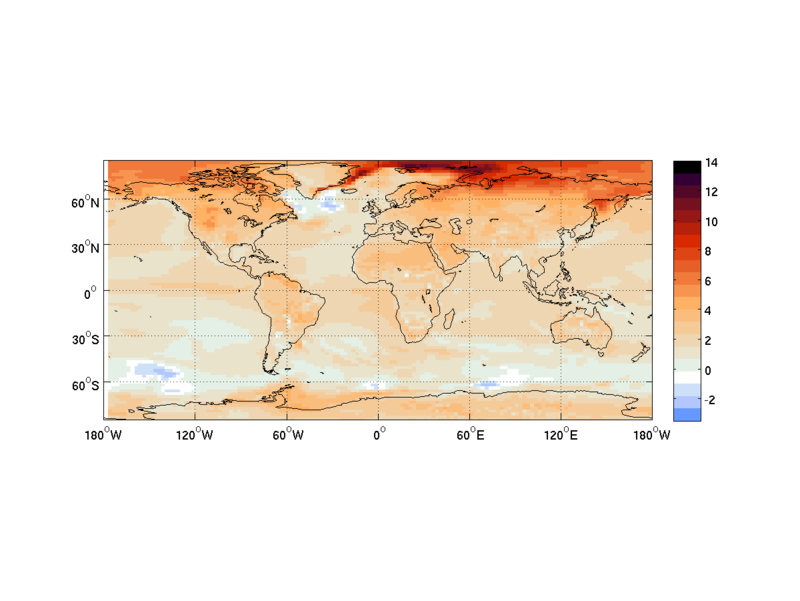 If the surface of the ocean is warming, this heat will quickly transfer to the air above. But if the deep ocean is warming, the heat will be trapped there and circulate for hundreds of years before re-surfacing. Figure 2: Change of heat content in the ocean (blue) and in the land + atmosphere + ice (red) (From Peter Glieck based on data from Church et al 2011; GRL 38, L18601). 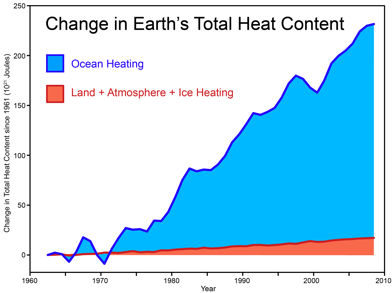 Figure 2 shows that the observed heat stored in the deep ocean has actually increased during the last few decades. In a recent study, Magdalena Balmaseda and co-workers found that this is the reason for the current leveling off of temperatures. At the same time, upper ocean warming has halted. Climate models also show a gradual heating of the deep oceans when the global temperature increases, both now and in the future. So even though we are continuing to release greenhouse gases into the atmosphere, we cannot expect that temperatures will increase smoothly all the time. The natural climate variations cause the heat to ‘disappear’ for a while, but only temporarily. The deep oceans are guarding this heat, saving it for a rainy day. Tagged cooling trends, Global warming, greenhouse effect, greenhouse gases, heat storage. How well do we actually know the great ocean conveyor? warm air trapped in the deep ocean will not necessarily affect us in the near future, but may hit us in 500 yrs time or in 200 yrs time. The way normal people see the greenhouse effect is that its gradually getting warmer yr by yr, but as you say, there is an uneven distribution. Southern part of Greenland for instance was a farming community in the early medieval period, since then its been colder. It remains a problem to convince people that climate change is a problem I think, because of all the possible neg/pos feedbacks. I think we need to take a better look at paleoclimate. How much do we know of climate change in the past? CO2 levels were higher than today in certain periods in the past, but the resolution in some paleorecords is poor, so we dont now how rapid the changes were. Still there is a lot of interesting questions in paleoclimate. The Holocene thermal maximum for instance is a period were almost all glaciers in southern Norway was melted away. The little ice age was a period of glacial advance as late as the period 1430-1930 AD. I mean how do we distinguish natural variability from human induced warming? Can these events happen in the near future, if so what’s causing it? humans? There is a different component today with humans emitting CO2, but we don’t know how the climate system will respond to this, or more precisely can we predict in what way the climate system will respond? If that was the case I think the politics of climate change would be a lot easier. From the science point of view I think there need to be more collaboration with scientists from different branches. Research need to be a combination of past (fieldwork, paleorecords) and future (models).